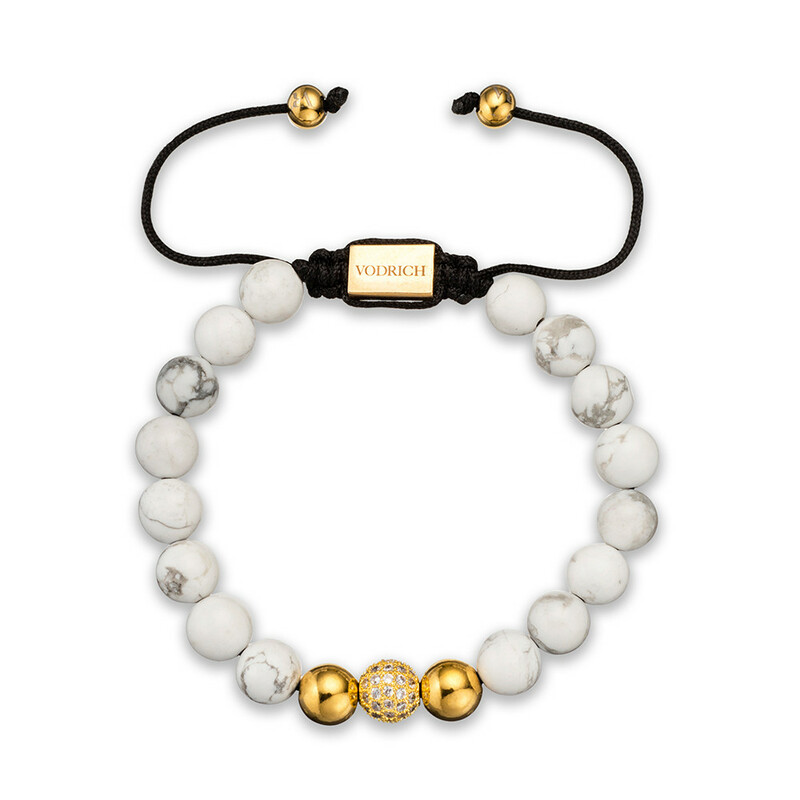 The clean & sophisticated tones of this Howlite Bracelet highlights a key accessories trend of natural semi-precious stones. Completed with a gold plated brass & cubic zirconia encrusted ball that adds the extra touch. 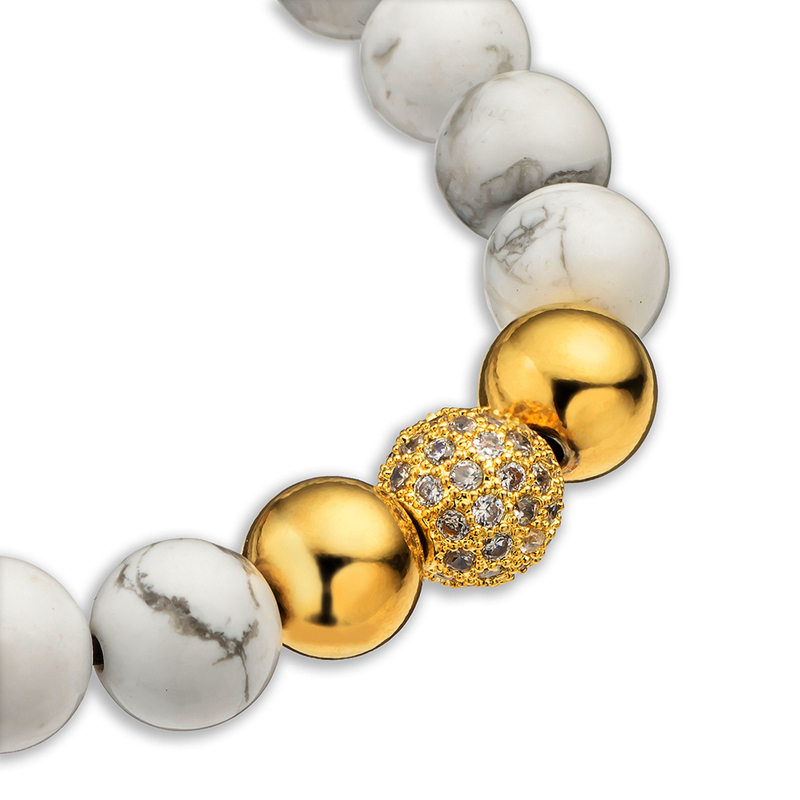 Layer this bracelet with dark or light styles to add a refined edge.